Modern health pioneers are turning the food pyramid on its head, replacing a low-fat focus to one that embrace the Low-Carb, Healthy Fat (LCHF) ethic as a means to achieving optimal health. What the Fat? shows how easy it can be to adopt the ketogenic lifestyle so you can lose weight and keep it off, deter inflammation, increase energy, and live better for longer. Nina Teicholz is an investigative journalist and author of the International (and New York Times) bestseller, The Big Fat Surprise (Simon & Schuster). The Economist named it #1 science book of 2014, and it was also named a 2014 *Best Book* by the Wall Street Journal, Forbes, Mother Jones, and Library Journal, The Big Fat Surprise has upended the conventional wisdom on dietary fat and challenged the very core of our nutrition policy. A review of the book in the American Journal of Clinical Nutrition said, “This book should be read by every nutritional science professional..” A former editor of the British Medical Journal said, “Teicholz has done a remarkable job in analysing [the] weak science, strong personalities, vested interests, and political expediency” of nutrition science. Before taking a deep dive into researching nutrition science for nearly a decade, Teicholz was a reporter for National Public Radio and also contributed to many publications, including the Wall Street Journal, New York Times, Washington Post, The New Yorker, and The Economist. She attended Yale and Stanford where she studied biology and majored in American Studies. She has a master’s degree from Oxford University and served as associate director of the Center for Globalization and Sustainable Development at Columbia University. She lives in New York city. Mix all the pancake batter ingredients well with the whisk. Allow to rest for 10 minutes. Heat the frying pan over medium heat and add the oil or clarified butter. Spoon dollops of the pancake mixture into the pan. The pancakes should take about 1 minute to color on the first side – any quicker, and the pan is too hot. Turn the pancakes and allow to cook for 1 minute longer. Transfer the pancakes to the plate and cover with the clean dishcloth (the cloth absorbs the steam, so it doesn’t make them soggy – great tip from my mum!). Panfry the bacon over medium heat until slightly golden. Arrange the pancakes on the plate with the bacon and mascarpone, and serve with berries on top. Drizzle with berry purée if desired. 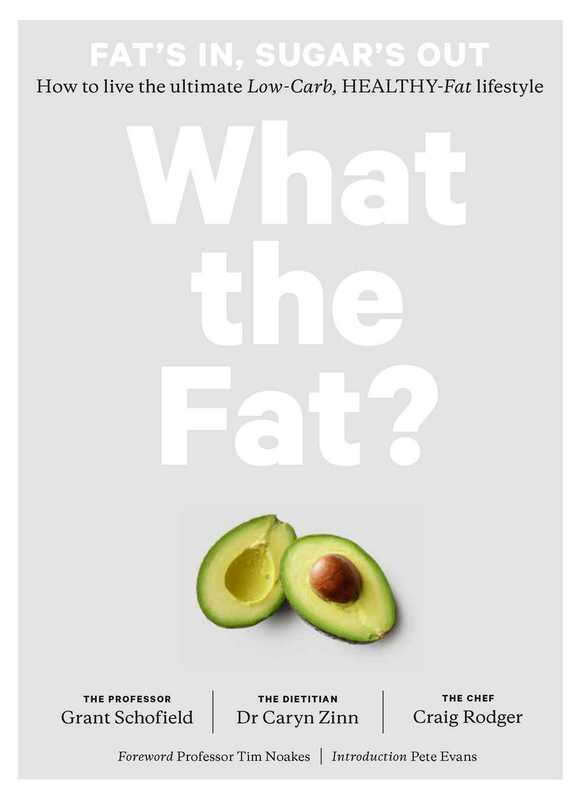 Book Cover Image (jpg): What the Fat?